Deployed in Afghanistan last year, alumna Katie Kopp (Ph.D. ’08) lived a life she never pictured herself in — one she has grown to love. 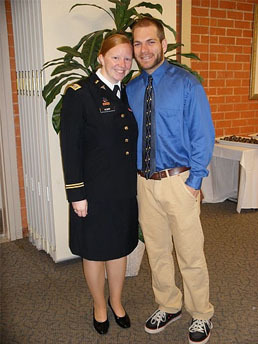 After graduating from Biola’s Rosemead School of Psychology, Kopp took the unexpected path to become a psychologist for the United States Army — a job that is exciting, unpredictable and full of challenges. “There are some days where I catch myself doing something — like lying in the prone position shooting an M4 — and I wonder how exactly I ended up there from what I thought I would be doing at this point in my career,” said Kopp. After starting classes at Rosemead in 2003, she discovered that many Rosemead students had benefitted from the Army’s scholarship for psychologists, which she subsequently applied for and received. 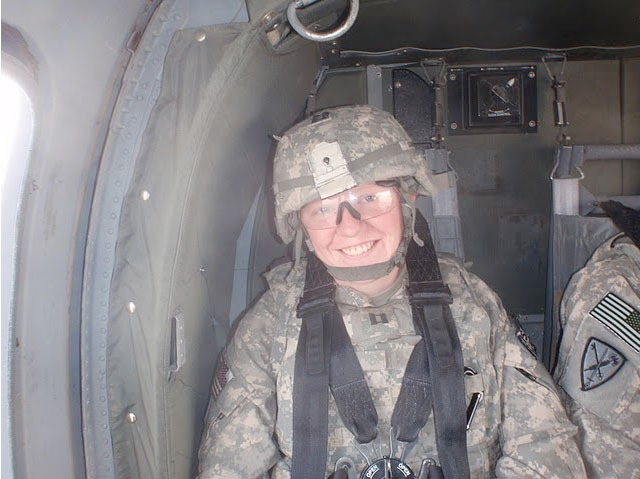 Following graduation from Rosemead, she attended Officer Basic Leadership Course in 2007, interned at Madigan Army Medical Center and moved to Fort Carson, Colo., in February of 2009 before being deployed for a year to Afghanistan from June 2009 to June 2010. During her deployment, she spent most her time traveling among the various locations in her brigade’s area of operations and meeting with groups of soldiers after traumatic events as well as individual soldiers dealing with combat stress, home front issues or conflicts with their peers. Kopp is one of many Army psychologists who have graduated from Rosemead School of Psychology — something the school was recognized for last June. The Association of the United States Army recognized Biola for “outstanding service and exemplary volunteer contributions of time and energy that have resulted in strong, resilient army families and soldiers.” It was the first time the award had ever been presented to a university. Now, back in the states, Kopp lives in Colorado, working in a clinic with a team of 10 to provide behavioral health services to her brigade. Although her days are full with seeing patients, she is still required to attend to her soldiering tasks such as physical fitness tests and practice at the shooting range. The hardest part for Kopp is the long hours and leaving emotions at the office sometimes, she says. However, her joy in working with soldiers motivates her each day. “I hear amazing stories of valor from the people I work with, and it makes me so proud to contribute in any way that I can to keep these men and women in the fight,” Kopp said.